ShellMenuView is a small shell utility that displays the list of static menu items that appeared in the context menu when you right-click a file/folder on Windows Explorer and allows you to easily disable unwanted menu items. 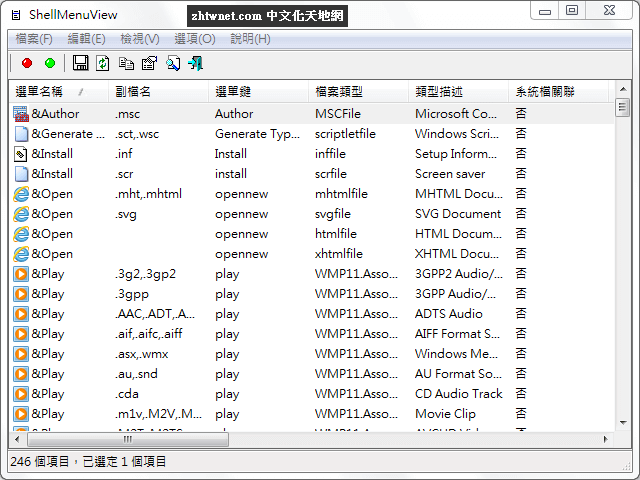 ShellMenuView works properly on Windows 2000, Windows XP, Vista, Windows Server 2003/2008, and Windows 7 and up. You can also use ShellMenuView on Windows 98 for viewing the menu items list, but the disable/enable feature won’t work on this version of Windows.